I have to thank Tanya @ 52 Books or Bust for bringing this book to my attention. I loved it. When I read the back of the book, I thought it was going to mostly be about Chani and her marriage, but there was so much more to it than that. I learned so much about the Orthodox Jewish culture, and the ways in which they keep their religion alive while living in a world that is so much different from theirs. Their religion and beliefs offer them comfort, security, and a way to find meaning in their lives. Things we are all looking for and want. The book alternates between several different stories that are going on at once. One of which, of course, is the story of Chani and Baruch and the journey they take to find each other. It was fascinating to learn about the rules and customs associated with finding a spouse, getting married, and even how they relate to each other after they are married. Even though it is different than what most of us are used to, there is a sense of rightness about it that is hard to dismiss. Chani and Baruch are both so nervous about the whole process, but especially about the wedding night. They have no idea what to expect, and are not having much luck getting answers out of anybody. (It is hard to imagine, that in this world, the answers would still be so well kept.) Their whole story is leading up to this big night. In her world, people did not fall in love. They were chaperoned into marriage. They met, they married and then they had children. And somewhere along the line; they got to know each other. They became a team, husband and wife, bringing more babies into the world, as HaShem willed it. The second big story in the book is about Rivka, the Rabbi’s wife. We first meet her as she is helping to prepare Chani for her marriage (the rules and expectations of wives). Her story goes back to when she first met her husband, and how they ended up where they are now. In the present, Rivka is trying to come to terms with a tragedy that has recently taken place that causes her to re-examine her life and what it has become for her, as a mother, a wife, and an Orthodox Jew. For me, Rivka’s story was the most emotional. How could she fit into a community where the pain of her loss was swept under an endless tide of prayer? She was expected to return to the fold, to carry on as normal. To keep smiling and praying. To return to the mikveh and her husband’s embrace. To do Ha Shem’s bidding. Another smaller story in the book is about Rivka’s son, Avromi. 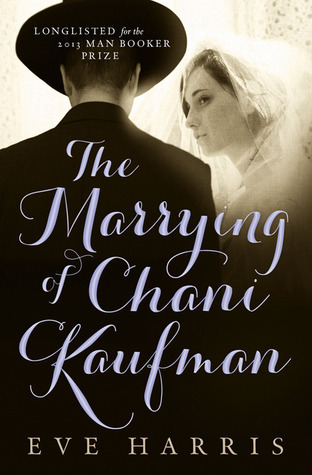 While attending university outside of the Jewish community, Avromi meets, and falls in love with, a non-Jewish girl. He becomes very conflicted between the two lives he is leading, and has to decide what is right for him and who he wants to be. His story makes us think about the possible consequences of living by strict rules. Breaking them can cause guilt, confusion, distrust, and anger. Avromi needs to decide if he wants to be free of these rules, or if he wants to come back to them. I think a lot of us would think the easy thing would be to break free, but the author does a good job allowing us to see the reasons why a person would choose to come back instead. Avromi’s story shows the level of commitment and love people can have for their religion or culture, and that it is not easy to slough it off and find a new life. … to love is to give even when the giving feels like a burden. I have been meaning to read this one. Sounds interesting. Another one for the TBR list. This sounds wonderful! In particular I can appreciate the tension between following rules and breaking free. I will look this one up. I find that most stories like this have the characters breaking free from their religions/cultures/families/whatever else people feel the need to break free of, but this one was different and I was impressed by that. Actually, now that I think about it, one character was breaking free while another was choosing to stay. So many different factors and experiences come into play. So interesting. I’m so glad you liked it. I always get worried when people take my recommendations seriously. I mean, what if you had hated it? I will definitely read whatever Eve Harris comes up with next. I worry about that, too, but I think most book-lovers know the risks. I can’t imagine anyone not liking this book, but you never know. Thanks for writing about it! Another book I must read, Naomi. I will find this particularly interesting because my father was a Jew who married outside of the faith. Thank you again for a very well written review! You have a talent for being able to convey the author’s voice and the spirit of the book with a few well chosen quotes. Thank you! And isn’t it great when we can find a book that we may have a bit of a personal connection to? I hope you like it as much as I did!